Your day-by-day itinerary now includes The National Atomic Testing Museum, Fremont Street Experience and Grand Canyon by One Day Tours. 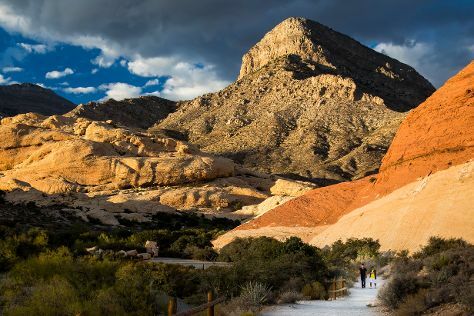 Escape the urban bustle at Red Rock Canyon National Conservation Area and Valley of Fire State Park. Step out of Las Vegas with an excursion to Hoover Dam in Boulder City--about 50 minutes away. There's still lots to do: get a taste of the local shopping with The Strip and don't miss a visit to Bellagio Fountains. To find where to stay, photos, reviews, and other tourist information, use the Las Vegas trip planner . Expect a daytime high around 80°F in April, and nighttime lows around 57°F. Wrap up your sightseeing by early afternoon on the 25th (Thu) to allow time for travel back home.